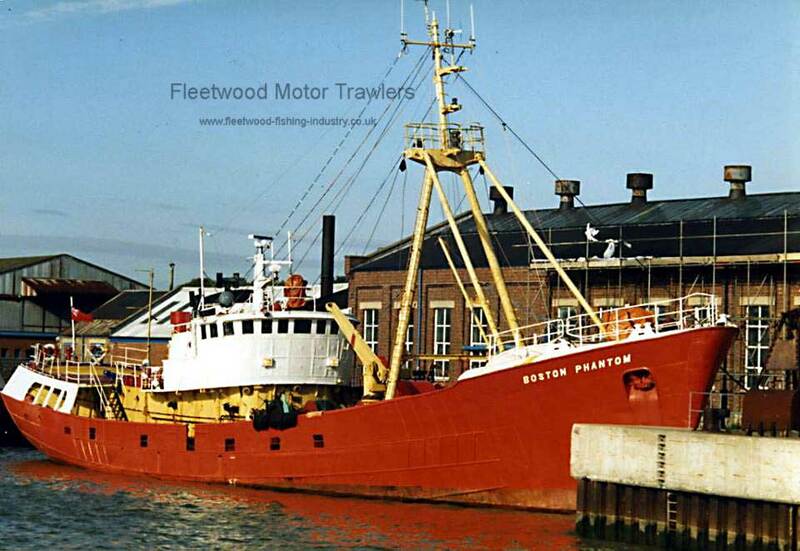 1965: In ownership of Boston Deep Sea Fisheries Ltd.
1966: Fleetwood’s highest grossing vessel. 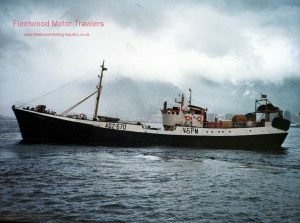 1967: Fleetwood’s highest grossing vessel. £107,425 Skipper Bill Rawcliffe. 02.1968: Carried out experiments by the Palmer Aero Products company using de-icing equipment, that reduced the likelihood of capsizing. Despite its modest cost of £2,000, Palmers received no orders. 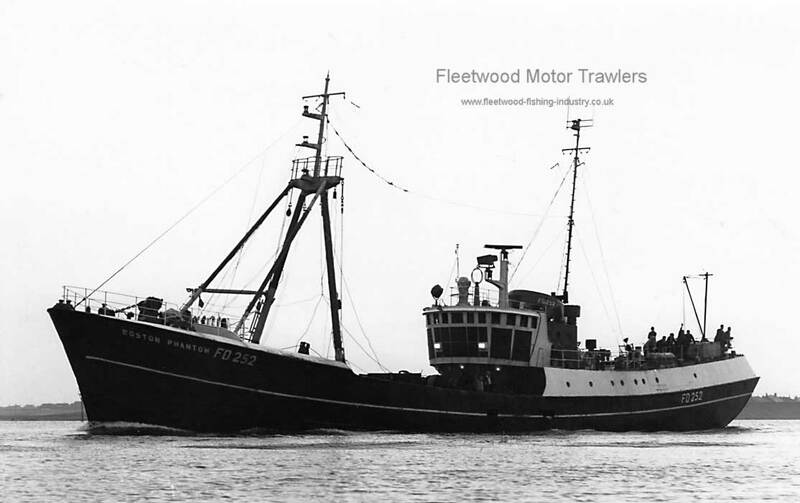 1970: Fleetwood’s 2nd highest grossing vessel. £153,995 Skipper Bill Rawcliffe. 1971: First Fleetwood Trawler to fitted with a gutting machine. 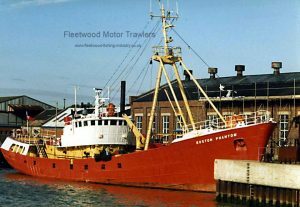 1972: Fleetwood’s highest grossing vessel. £161,874 Skipper Bill Rawcliffe. 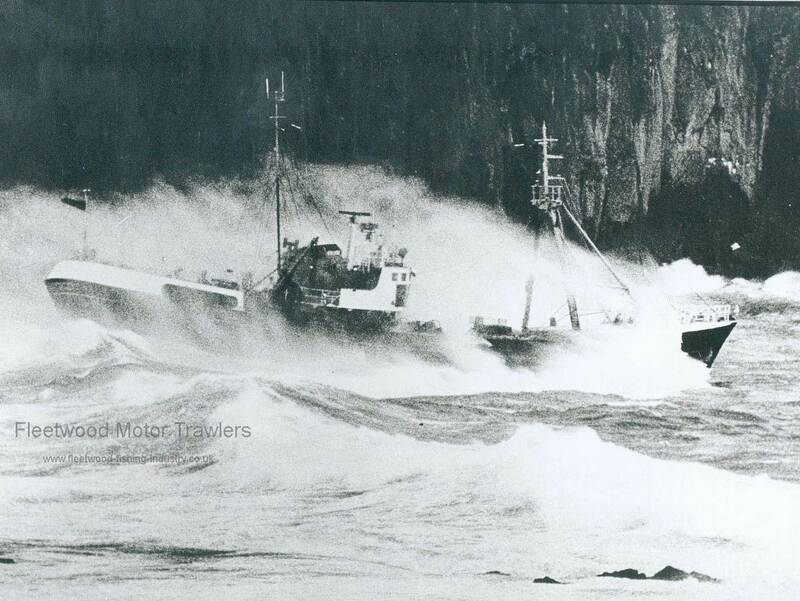 10.1973: Set a new port record for a 140 feet vessel. Landed 2,258 kits. Grossed £34,339 Skipper Derek Brown. 22 Days Iceland. 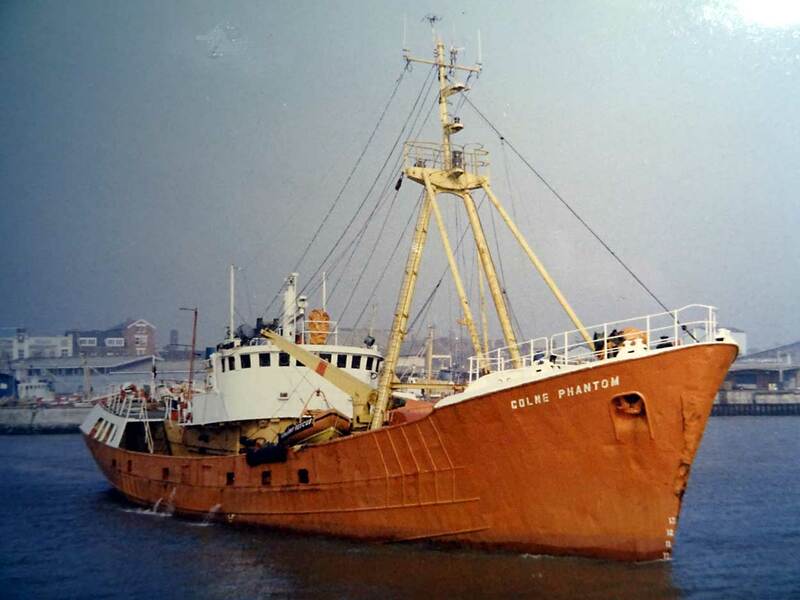 1974: Grimsby’s highest grossing vessel in the 140 feet class, £292,970. 7.12.1978: Arrived at Lowestoft to be converted to an Oil Rig Stand by Safety Vessel. 01.1979: Work Completed. Fleetwood fishing registry closed. 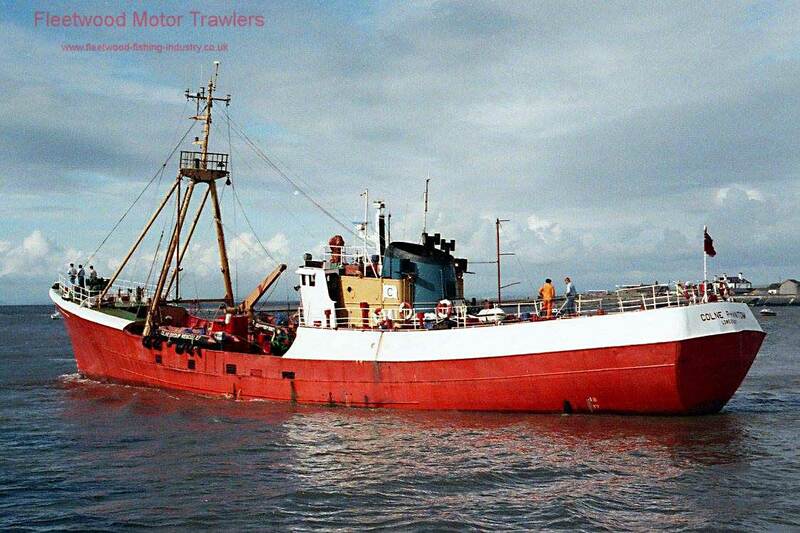 Transferred to Grimsby Near Water Trawlers Ltd, Grimsby. 1982: Chartered by Colne Shipping of Lowestoft. 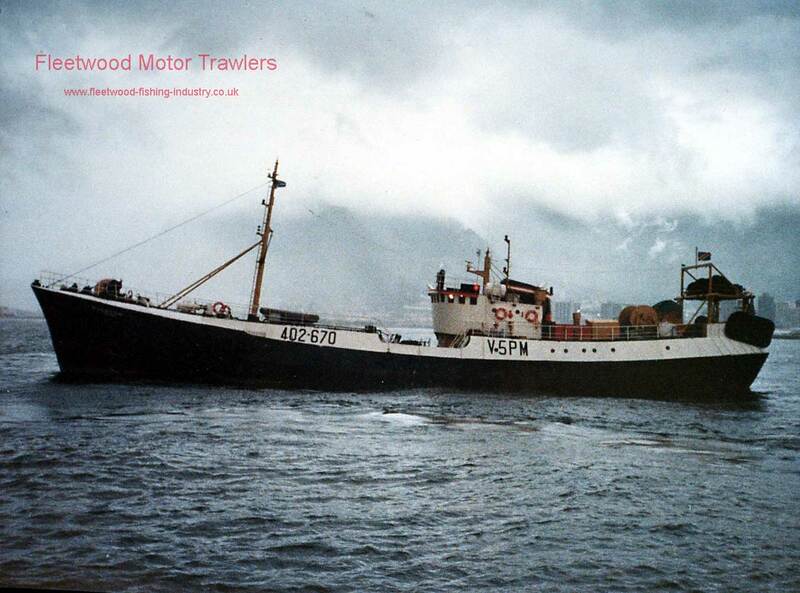 1984: Sold to Colne Group (Claridge Trawlers Ltd.) for oil rig support work. 1987: Registration transferred to Claridge Trawlers Ltd, a subsidiary of Colne. 6.1.1992: Sailed from Lowestoft bound for Rainham, Kent on the River Thames for scrapping for breaking at Bloor’s Wharf. 1992: Sold to Caroline Paternity (Pty) Limited, Cape Town, South Africa. 4.4.1992: Arrived Lowestoft in tow of ANGLIAN WARRIOR and subsequently slipped for repairs and a survey. 2.5.1992: Sailed from Lowestoft as COLNE PHANTOM. Registered at Kingstown bound for South Africa. 1992: In ownership of Caroline Pty Ltd. 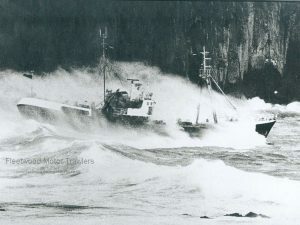 In 1992: she was Converted to a stern trawler and returned to fishing. 1995: in ownership of Viking Fishing Co Pty Ltd.
1996: Prawn fishing in Mozambique. 14.9.2000: Vessel has been refitted at the cost of 1,000,000 Rand. 26.3.2009: The BOSTON PHANTOM now “COLNE PHANTOM” was Last seen in Cape Town fish dock laid up. 17/09/2016: Page re-published due to site problems. 10/04/2017: Removed incorrect image and FMHT watermark. 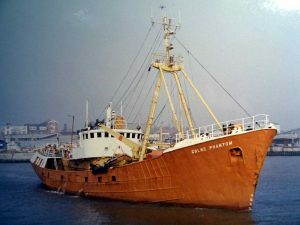 This entry was posted in Boston Deep Sea Fisheries, Motor Trawler on 17th September 2016 by Howard Small.